Pediatricians walk a tightrope between their strong convictions about the benefits of vaccines and their dedication to a trusting relationship with their patients. From time to time, Dr. Michael L. Goldfein, a pediatrician on Martha’s Vineyard, faces this predicament: a parent who does not want a child vaccinated. In the eyes of Goldfein and other pediatricians, immunizations represent one of medicine’s greatest triumphs. But for as many as 5 percent of parents who come to his practice, these life-saving injections are seen as risky and potentially harmful. As the measles outbreak that began at Disneyland in California spreads across the nation, sickening at least 125 people in seven states, pediatricians walk a tightrope between their strong convictions about the benefits of vaccines and their dedication to a trusting relationship with their patients. Some doctors stop accepting parents who harbor antivaccine beliefs, but most — including Goldfein — keep treating the children of those parents out of concern for the youngsters’ welfare. Horowitz: Why are people getting measles? In a recent Disneyland outbreak, there were enough unvaccinated people at the park to give the germs their own day of fun. 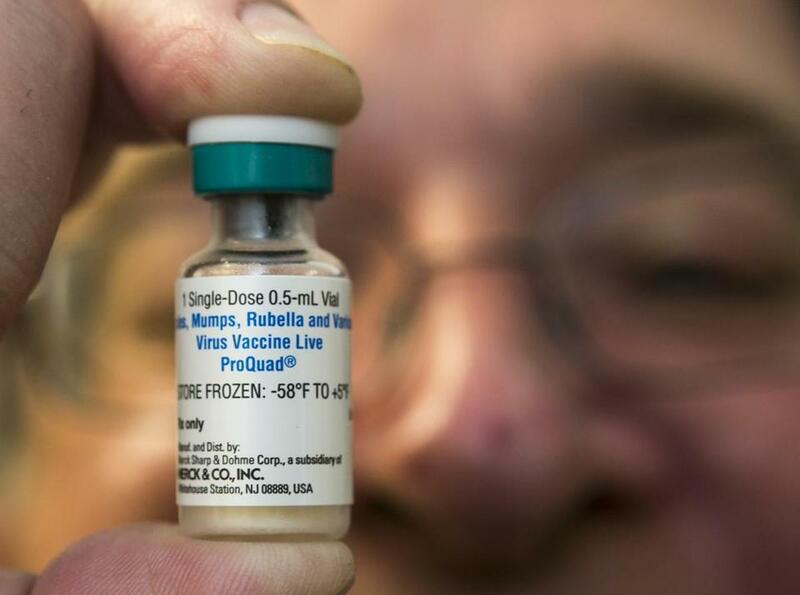 Immunization rates remain high overall in Massachusetts. In 2013, 96 percent of children age 19 months to 35 months had received the measles-mumps-rubella vaccine, the fourth highest rate in the nation. But clusters of vaccine refusers can be found, for example, in the Pioneer Valley in Western Massachusetts and on Martha’s Vineyard. And everywhere, pediatricians face fretful questions about vaccines from at least a few parents. Some doctors fear that if they turn away unvaccinated children, these patients will get poor care from practitioners who oppose vaccination, and the parents will never have occasion to change their minds. Many pediatricians reluctantly agree to a different vaccination schedule than the one recommended, as a compromise to overcome parents’ resistance. At the same time, as measles makes headlines, doctors are hearing from parents who favor vaccination and worry about unvaccinated children sharing waiting rooms with children too young or sick to be immunized. The issue of parents refusing vaccines is so troubling that one large practice — Harvard Vanguard Medical Associates, with 80 pediatricians at more than a dozen sites in Eastern Massachusetts — a few years ago consulted with two bioethicists to weigh whether to turn away people who refuse to vaccinate. The pediatric chiefs reached a consensus that they would continue to take all comers. Dr. Lisa S. Lehmann, a top bioethics specialist at Brigham and Women’s Hospital and one of the ethicists Harvard Vanguard consulted, said pediatricians have to balance parents’ right to decide what’s best for their child against the health of other patients. There are many good reasons, she said, why some patients have lost trust in medicine. Doctors need to regain that confidence and realize that, over time, people can change their minds, she said. But one Harvard Vanguard office took a different path. For at least the past decade, Harvard Vanguard Kenmore Pediatric Practice has told parents of prospective patients that if they are unwilling to immunize their children, they should choose another practice. Dr. Anita Feins, chief of Kenmore Pediatrics, said the group had two concerns: the physicians’ ability to work in partnership with parents and the health of other children in the practice who might be exposed to vaccine-preventable illnesses. Nationally, measles outbreaks have increased in recent years along with the number of people refusing vaccines, a trend traced to a subsequently discredited 1998 research paper that drew a connection between the measles-mumps-rubella vaccine and autism. Although many studies have since disproven that theory, concerns linger, often vague worries about putting “impurities” into children’s bodies. The parents who question vaccines, doctors say, tend to be relatively wealthy and educated, do their own research online, and often favor alternative medicine and “natural” lifestyles. Children are required to be vaccinated before attending school, but parents can obtain exemptions. In Massachusetts, the exemption can be medical or religious, but the religious exemption is commonly used by those who merely have a philosophical objection. Efforts to change minds with the facts can backfire. A study published last year in the journal Pediatrics tested four different approaches: a leaflet debunking the vaccine-autism link; a leaflet about the dangers of the diseases that the vaccine prevents; images of children who have those diseases; and a mother’s narrative recounting her infant son’s hospitalization with measles. To the researchers’ surprise, none of these measures changed parents’ decision to forgo vaccination, and in some cases, the interventions strengthened parents’ determination not to vaccinate. Dr. Gary L. Freed of the University of Michigan, one of the study’s authors, said that rather than confronting parents about deeply held beliefs, doctors would do better to emphasize their shared concern for the child. “The first thing is to realize that parents believe they’re acting in the best interest of their child,” said Freed, a pediatrician. 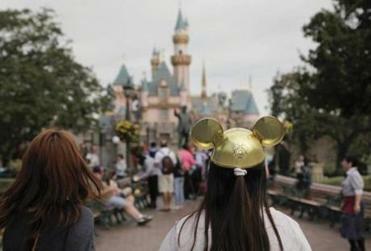 The Disneyland outbreak has brought home the disease’s scary reality, and Freed believes the tide has turned. Small outbreaks in day-care centers, once little noticed, are making the news. Parents who vaccinate are suddenly aware of the risks their children face because of those who don’t. And on Martha’s Vineyard, Goldfein said, a half-dozen parents who previously refused vaccination have brought their children in for shots.